Maharashtra Chief Minister Devendra Fadnavis announced job for one family member of the two CRPF jawans from Buldhana who lost their lives in the Pulwama terror attack. The state has already announced Rs 50 lakh each for their families. 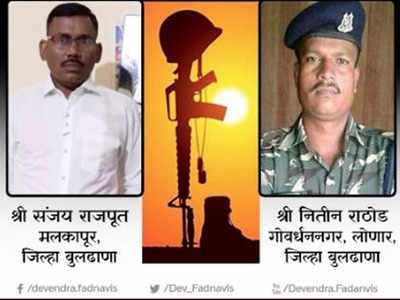 Of the two jawans who were martyred, Nitin Rathod hails from Lonar taluka and Sanjay Rajput hails from Malkapur taluk, both from Buldhana district.